It has been 4+ years since I made hair bows for my girls. They were starting to outgrow the ones I had made using 5/8" ribbon. I was looking for a tutorial for a nice and simple bow. I don't like ones with twisties and loopies. Just a plain. regular. bow. And I stumbled on this video! This was exactly what I was looking for! The best part, was that the ends of the ribbon do not show, so when you melt the ends, it's not a big deal if the ribbon turns black from the flame. 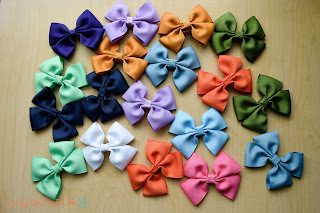 I had that issue with my last bows and it took me FOREVER to get all those ends sealed. I also purchased a similar lot from the same seller for 1/4" ribbon to use for the center. 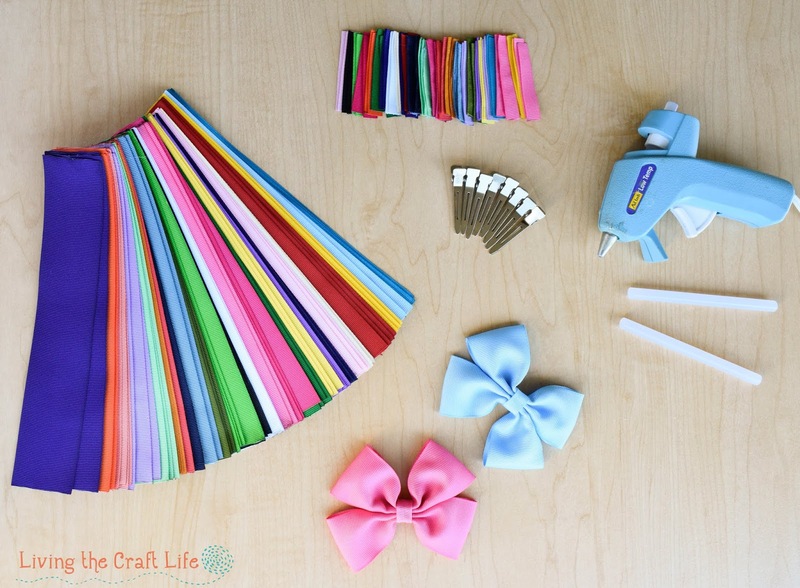 I saved A LOT of money vs. getting each color from the craft store. 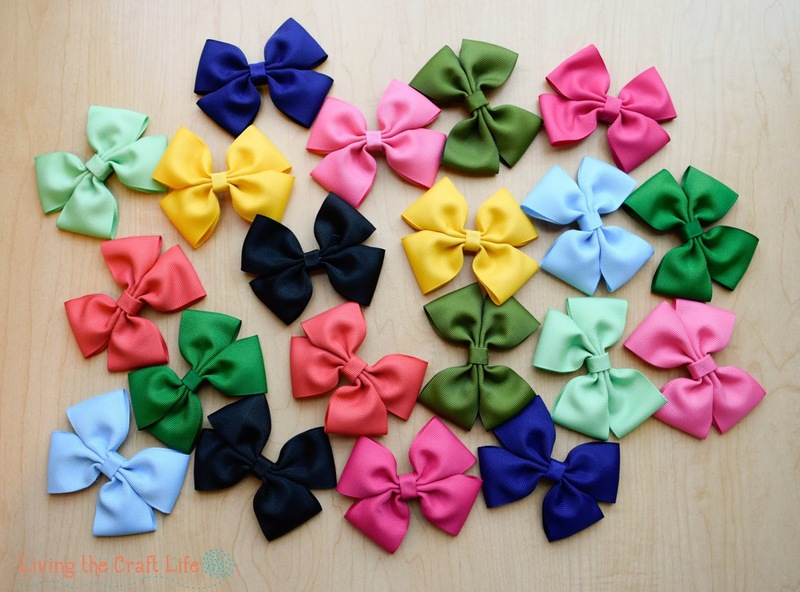 With 1 yard of ribbon, I could make two bows in each color, and that was perfect for me! The price comes out to be $.18 per bow. 18 CENTS! What a deal. Anyway, I followed the tutorial and with my ribbon purchase I was able to make 50 new bows for my girls in beautiful colors! I just LOVE the size of these bows. They are perfect for my girls and exactly what I wanted to make. So go ahead and make some!